If you happen to be in Ireland in September, you should try and attend Culture Night. Culture night is an all island public event celebrating culture, creativity and the arts. On this very special night many museums, historical houses and artists’ studios open their doors for longer hours, allowing curious eyes to see, for free, rooms otherwise inaccessible. As well as prolonged opening hours, Culture Night is also a time of the year rich with workshops and events: some of these are ticketed and must be booked in advance (special interest tours of Dublin in particular) but many others are accessible even to the disorganised. 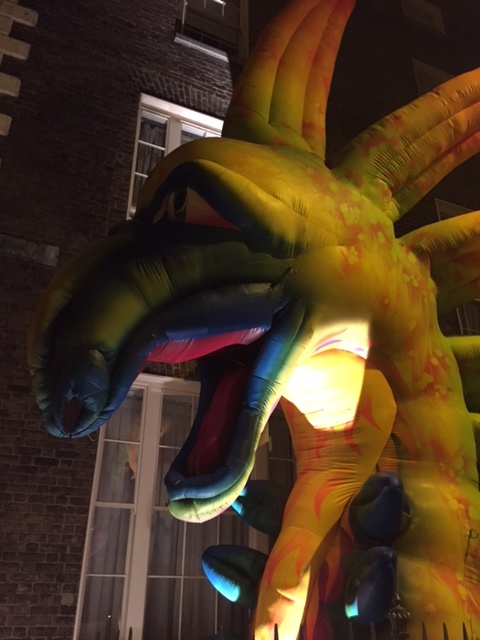 These last ones came particularly handy to us last year: despite showing up in town with no plans, no tickets and not even night’s printed programme, we were able to enjoy many of the installations and soaked up the relaxed yet buzzing vibe of the event. Culture night has a rich programme of events all over the city but it is more than the sum of its parts. When we went into town last year, probably also thanks to an unusually mild evening, what really surprised us was the overall atmosphere: instead of the usual crowds rushing to the latest trendy restaurant or to the nearest pub, what we found were groups of people taking their time to admire the squares they usually rush through on their way to work and truly connecting with their city. When else can you take a clear shot of the Government Buildings? The vibe was fun and family friendly and many of the art installations, while not strictly for kids, didn’t fail to catch little people’s attention! The area we enjoyed most of all was around Merrion Square. A family favourite during the day, thanks to its lovely playground and the proximity of the ‘dead zoo’, on culture night it became the stage of the Irish Times’ ‘Dublin downstairs’ event. The Georgian buildings framing the square all have small basements, accessible through iron stairways and these became unexpected art corners, allowing for sculptures, installations, small concerts, poetry reading and much more: one even had a Dj and a full dance floor, all in the space of about 2 sq metres! During culture night many buildings usually closed to the public open their doors. Last year we managed to see only two, but they were spectacular and confirmed once again to us that Dublin is a city of details: it is, arguably, less monumental thank other European capitals, but if you know where to look, it will reward you with incredible sights. 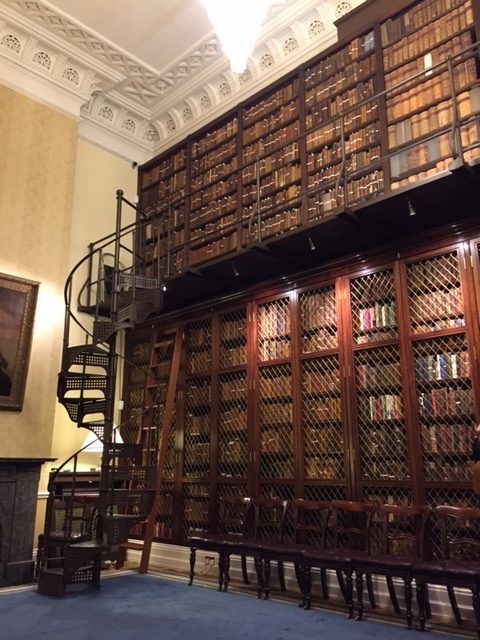 The first building we saw was the Royal college of physicians, an elegant building with high ceilings, elaborate staircases and my favourite kind of room in the world: a floor to ceiling library! 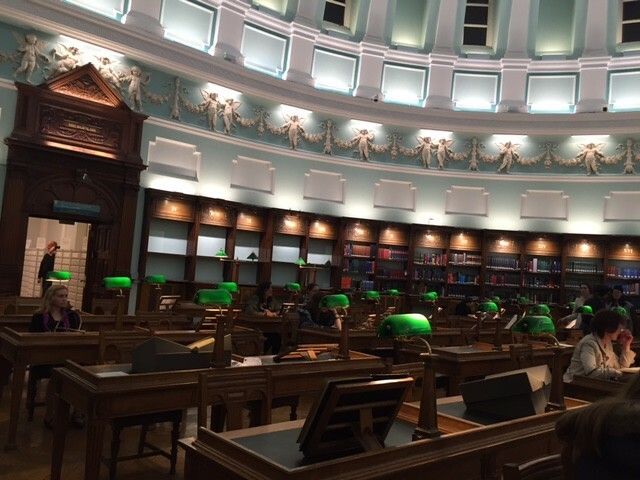 The second one was the National Library, as impressive as the literary tradition of Dublin itself. Dublin castle, usually on thins night opening its grounds to a series of music, theatre and poetry performances; The National Concert Hall, with excellent children workshops; The Glasnevin cemetery museum that has a small, handy corner with kids toys and is just beside the always impressive botanical gardens, a children’s favourite; The National wax museum, which offers skip the queue line tickets on culture night to those who join their mailing list; Croke park stadium, offering free tours and The Ark, with animation workshops for kids. Do you have Culture night where you live? Is it similar to the one in Dublin? I’d love to hear your stories!